 Given the role that the Ford Motor Company has played in the automotive world, it should come as no surprise that they have a long and storied career when it comes to performance and performance vehicles. From when the first open-wheel Ford engine IndyCar hit the track in 1935, to the iconic Mustang, to Ford’s participation and success in the rally world (since the initial World Rally Championship in 1973), Ford has always been present and competitive, whether it be on the tarmac or a dirt road. This heritage informed many of Ford’s modern vehicles, especially those wearing the RS and ST badges. For the time being, we will focus on the models of the Ford ST line. Ford ST, or Sport Technologies, is essentially a more modern branch of the Ford Performance family. Ford models blessed with the ST badging focus on not only performance, but incorporating as many of Ford’s new and noteworthy technologies as possible. Ford ST models are sharp everyday performers, and provide more versatility than the more track-focused RS models. In North America, the ST badging has appeared on both the Ford Focus and Fiesta hatchbacks. Putting the ‘hot’ into hot hatch, the Focus ST and its turbocharged 2.0L I-4 EcoBoost® engine provided 252 horses and a whopping 270 lbs.-ft. of torque—creating an absolutely thrilling vehicle matching style with substance. The first SUV to wear the ST badge is the Ford Edge ST, which combines the market’s desire for SUVs with exceptional power and performance. The Edge ST’s 2.7-liter V-6 utilizes two turbochargers to produce 335 horsepower and 380 lbs.-ft. of torque, but the real edge in this ST comes from its power-to-weight ratio—15% better than the Focus ST. It’s hard to believe the ST line has peaked, since the constant addition of new technology keeps Ford ST’s on the cutting edge of modern performance. Ford recently announced they’ll create an ST variant of the Explorer, meaning you’ll have passing power to spare once you hit the highway. We’re still waiting for more information regarding the Explorer ST, but if it is anything like the other ST models it will be a more than formidable chapter in the ST saga. Since the first Ford ST model, the European-exclusive Ford Mondeo ST24 released in 1997, Ford has packaged performance and technology within sharp looking design to create one of the most remarkable divisions of Ford —or any other manufacturer for that matter. When you see ST badging on a Ford, you can believe the owner is one who takes their driving, and their Fords, seriously.